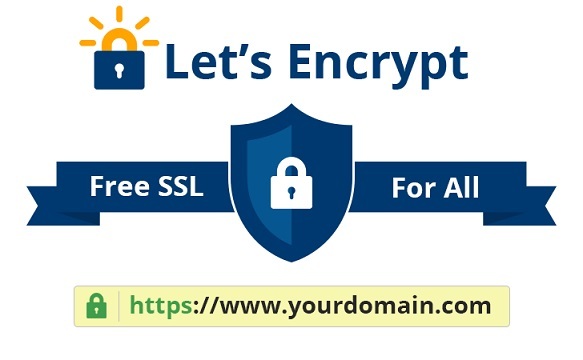 Solutions for Small Business: Let’s Encrypt ! Get free, automated, and open Certificate Authority. Let’s Encrypt ! Get free, automated, and open Certificate Authority. Wildcard certificates allow you to secure any subdomains under a domain. If you wanted to secure any subdomains of example.org that you have now or in the future you can make a wildcard certificate. To generate wildcard certificates add an asterisk to the beginning of the domain(s) followed by a period. Wildcard domains do not secure the root domain so you must re-enter the root domain if you want it also secured under one certificate. For example to create a wildcard domain for example.org enter *.example.org example.org. To create a wildcard certificate for multiple domains such as example.org and example.com enter *.example.org example.org *.example.com example.com. Manual DNS verification will be required. Multiple domains or subdomains are allowed and should be separated by spaces (e.g. "subdomain.domain.com domain.com otherdomain.org *.wildcarddomain.com"). If the multiple domains or subdomains pertain to multiple directories then you must use manual HTTP verification and upload verification files to the correct directories or use DNS verification. We automatically add the www version of the domain to the certificate (the www. domain may need separate certificate installation for it to work) if not already added as most users want that implicitly. To remove the www just submit the domains you want to verify then on the verification page near the top click on "Add / Edit Domains" and remove it and submit again. Yes, it is free for all usages including commercial usage. Can I use my own CSR? Yes, just choose one of the manual verification methods and there will be an input at the bottom before the generate certificate button to provide your own CSR. Do these SSL certificates work for IP addresses? No, certificates can only be generated for registered domain names. For domain names with special characters or international characters we automatically convert it to the punycode representation. Can Verification Files or TXT records be deleted after verification? Yes, all verification files or records can be deleted after verification. It is used only once for each verification. If your website shows a security error then installation was not done correctly. You can try going to https://www.ssllabs.com/ to check SSL certificate installation issues and fix. If you need help with this your best bet would be to contact your host, professional developer or admin for help. Your website most likely has insecure content which needs to be remedied. You can try going to https://whynopadlock.com to see issues and fix. If you need help with this your best bet would be to contact your host, professional developer or admin for help. Web servers do not redirect to HTTPS by default. If you want to force it you will have to configure it to force a redirect. This configuration will depend on your server setup. If you need help with this your best bet would be to contact your host, professional developer or admin for help. FreeWebStore - eCommerce for everyone! Blurtster - Social Media Made Easy! Bring your data to life - get Microsoft Power BI ! Buffer - a smarter way to share ! Solutions for Small Business. Websites . Social Media Management . Simple theme. Powered by Blogger.